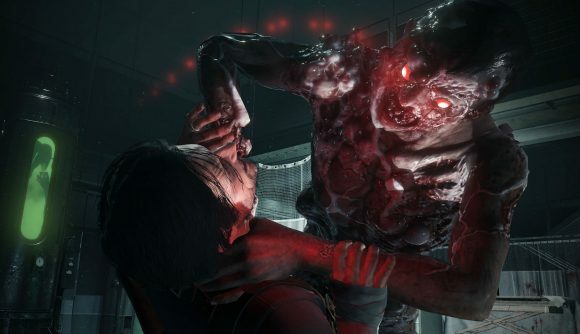 Bethesda’s lawyers sent a stern letter to a man selling an unopened copy of The Evil Within 2 on Amazon, threatening legal action against him if he failed to take down the listing. While the seller claims he was within his rights to sell his copy of the game, Bethesda took issue with the way he had it listed. The seller, Ryan Hupp, spoke with Polygon about his interaction with the company and provided the site a copy of the letter he received from Bethesda’s legal firm, Vorys. The letter informed Hupp that because he is not an “authorized reseller,” his sale of the sealed PlayStation 4 copy of The Evil Within 2 was unlawful. At issue was Hupp’s description of the game as ‘new,’ which Vorys argued was “false advertising.” From the consumer standpoint, that may be a bit confusing – sites like Amazon and eBay allow sellers to describe the wear condition of the products they’re selling, and these can range from ‘damaged’ to ‘new in box.’ Collectors often use similar terminology to describe items they’re buying or selling. But to Vorys and Bethesda, ‘new’ has an additional connotation: a product can only be ‘new’ if it’s sold by an authorized dealer. Hines said that it’s impossible for Bethesda to verify whether copies have never been opened, so damage to game discs or missing pack-in components can be found even in what look like brand-new, shrink-wrapped packaging. Hupp has removed his Amazon listing for his copy of The Evil Within 2, but he doesn’t agree with Bethesda’s rationale, or the approach the company took with dealing with the issue.